Want to see what is for Sale at Wailea Ekolu Village? Click Here to see Wailea Ekolu Condos For Sale. Selling a Condo At Wailea Ekolu? 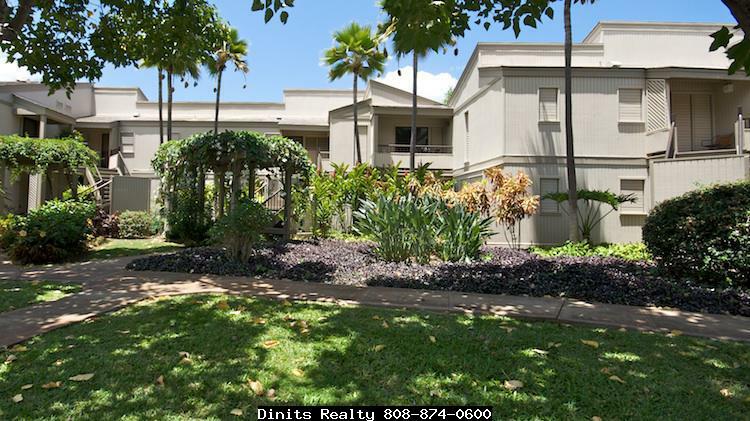 Wailea Ekolu Village is where you should purchase a condominium in South Maui if you are looking for a great place to live or an investor looking for a desirable vacation rental. Wailea Ekolu Village, built in 1979 and offering 148 units in 17 two-story buildings situated on 18.45 gently sloping acres. 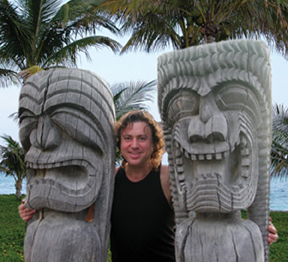 This condo complex features a village design with lanais facing the ocean and units that are staggered to create privacy and separation from neighbors. This popular resort destination is adjacent to the 15th and 16th green of Wailea Blue Golf Course. Golfers you will be happy to know that homeowners here enjoy golf privileges on all Wailea courses for a small fee. This complex can be found off of Ekolu Place which divides Wailea Ekolu Village into an upper and lower level. Some units have fabulous upgraded interiors or mountain views or ocean views. Wailea Tennis Center is close by as are restaurants like Monkeypod, Manoli’s, Pita Paradise, Mulligans on the Blue, Joe’s, and Fabiani’s Wailea. Amenities include air conditioning, in unit washer and dryer, two pools, a covered recreation pavilion with a kitchen, barbeque and picnic areas. If you have a four legged friend please note this is a pet friendly community. Forty condos have a one bedroom, two baths with square footage in the interior of 868 and 200 on the lanai. Eight-eight units have two bedroom, two bath 1068 to 1073 square foot interiors and a roomy 245 square foot patio. The largest homes, 20 of them, have two bedrooms, two and a half baths with 1,489 square foot interiors and 460 square feet on the lanai. Find your piece of paradise walking distance to Wailea Beach and directly above The Shops of Wailea and Grand Wailea Hotel at Wailea Ekolu Village. 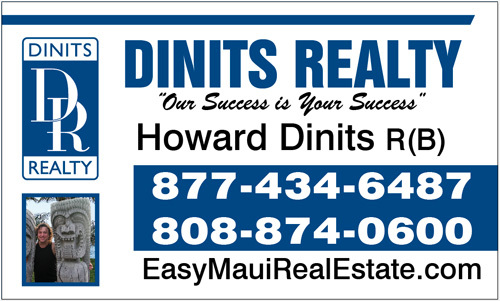 Get your FREE Wailea Ekolu Condo Guide here then Contact Howard Dinits when you want to make an offer on your next home in Wailea.